Apparently it’s the end of November which can only mean one thing; it’s time to cry over the lack of ideas I have for Christmas presents. Everybody seems to love this time of year but I absolutely detest it. Sure I like Christmas but only on December 25th and not a minute sooner. Wait, this is supposed to be my monthly favourites, moving on! I would like to apologise for the quality of these photos. I’m not exactly known for my brilliant photography skills as it is but this time of year has been disastrous for pictures. No matter what time of day I try to take the photos at they always come out dark and weird. Bring back Summer! Thanks to my incredibly pale skin I am limited on what kind of blusher I can actually use. Most are far too dark for me and no amount of blending can eliminate the clown look I’m left with. 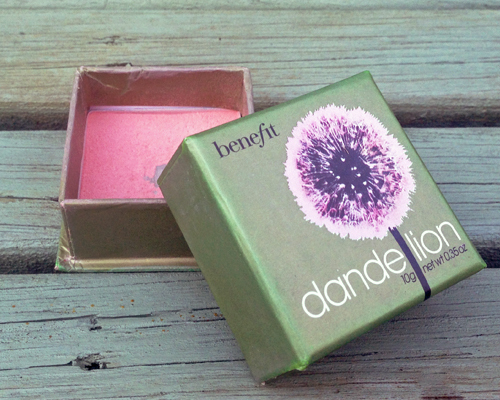 Benefit Dandelion is one of the few blushers I can wear that adds a nice, subtle colour without being over the top. It’s easy to work with and looks good for most of the day. I’m actually a little gutted about the fact I’ve hit pan on it. 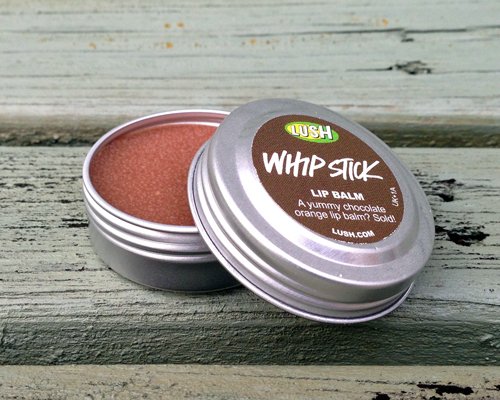 My 2 favourite lip balms have gone walkabouts so I picked up Whip Stick from Lush just in time. It’s a rather delightful chocolate orange flavoured lip balm that does not look even remotely appealing in the tin or on the website. I’ve been using it non-stop and could not be happier with it. It’s not an overly creamy lip balm so it doesn’t completely drench your lips but it does do a good job at hydrating them. It also leaves behind a rather lovely subtle taste so it’s a major win! 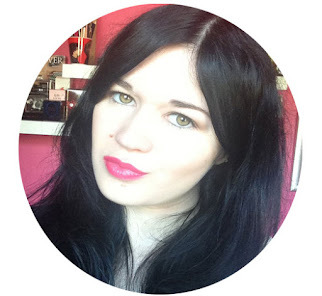 Chatterbox has featured in my monthly favourites before but I just had to include it again. 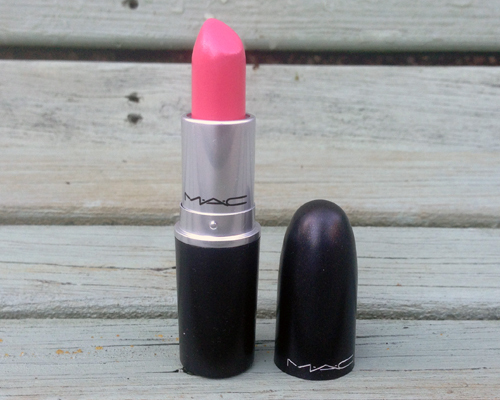 It’s a beautiful, natural pink lipstick that works for both day and night. 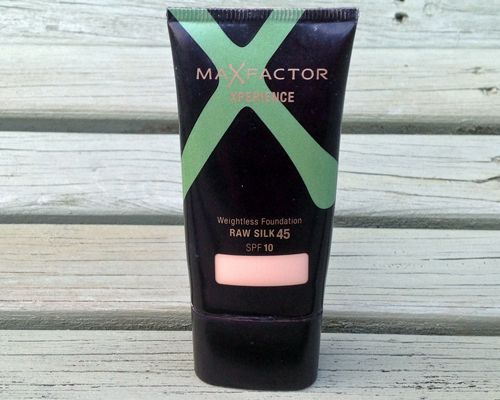 Chatterbox is an Amplified formula so it’s creamy, easy to apply and lasts for a good few hours. Out of all of my lipsticks it doesn’t typically stand out but when I do pull it out of my make up drawer I always fall right back in love with it. I think it’s safe to say based on the group picture King of Skin (the individual shot was obviously taken on a different day) has been used quite a lot. Like I mentioned in my Lush haul post I believed I would be chasing this around the shower but I’m pleased to say it’s not even remotely slippery. I was convinced it wasn’t actually working but my skin has been softer and less dry since using it. Another awesome find in Lush! How late to the scene am I with this one? I picked it up on a whim as my Bioderma was about to run out and I’m so glad I did. 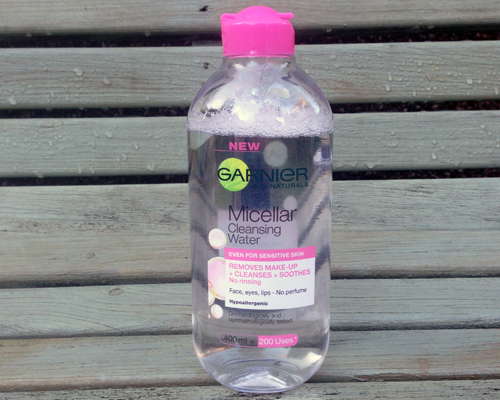 The Garnier Micellar Cleansing Water does an incredible job at removing even my darkest of eye make-up and brightest of lipstick. 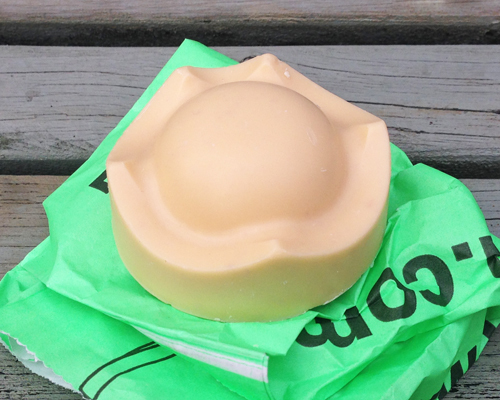 Very little of the product is required and it’s a great (and cheaper) alternative to Bioderma. I’m really not saying anything about this that hasn’t been said before am I? 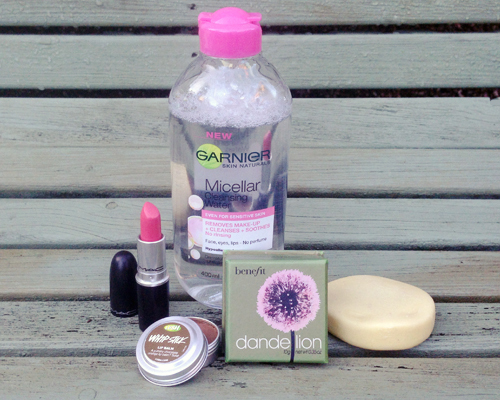 So there’s my November Favourites. Now if you don’t mind I have a lot of chocolate to consume while I watch the Chargers take on the Ravens. I’m going to be gutted when football season is over. I really can’t stay on topic can I? Shoes are my biggest weakness but I somehow managed to go through my 4 years of a shoe obsession without a simple pair of black heels. Black is a colour that features heavily in my wardrobe but when it comes to shoes I like to have some form of colour. I prefer shoes that are a little more “out there” mainly because the rest of my wardrobe is so dull. Black sandals were never high up on my radar as, well, they’re a little boring. It wasn’t until I stumbled across the Kurt Geiger Carvela 'Jest' Sandals that I decided it was time to finally buy a pair of "boring" black heels. They’re simple yet elegant and have a tiny bit of an edge to them thanks to the snakeskin effect. The gold rectangle in the middle of each criss-crossing strap also adds some extra flair to the shoe. They’re not going to add a large amount of excitement to whatever outfit I choose to wear them with but I am thoroughly enjoying the understated class they give to my skinny jeans and leather jacket combo. I try to not limit my shoes for certain events or time of day but I really do prefer these heels for the evening. They’re better suited to a night out or for a meal in any restaurant that has margaritas on the menu. I won’t be making any trips to buy Doritos in them that’s for sure. The heel boasts my height by almost 5 inches and the zip fastening allows for easy access and an easy removal. There’s nothing more annoying to me than not being able to get the buckle undone on a shoe especially when you’re not exactly steady on your feet as it is (back to those margaritas again). Weirdly I’ve avoided simple black heels for so long yet these heels are about to become my favourite pair of shoes. Perhaps I’ve spent too long wandering around in obnoxious shoes and I’m now down with boring old black heels or maybe it’s just because they’re new to me but either way, I’m beyond happy about accidentally finding these. Go Kurt Geiger! P.S I can't work with this Scottish weather anymore. Give me some light! Lush wasn’t even on my mind until my parents mentioned they were going to be making a quick trip before heading to the Scotland vs Argentina rugby game. As soon as the words left my mother’s mouth I immediately handed her money that was intended for something else and practically threw a list of my Lush desires in her face. I’m a pleasant daughter. My list was kept to the bare minimum. I’ve become very money conscious recently (i.e. I’m conscious of the fact I seem to be forever broke) so I decided I would only get the necessities. I use the term necessities incredibly loosely here. 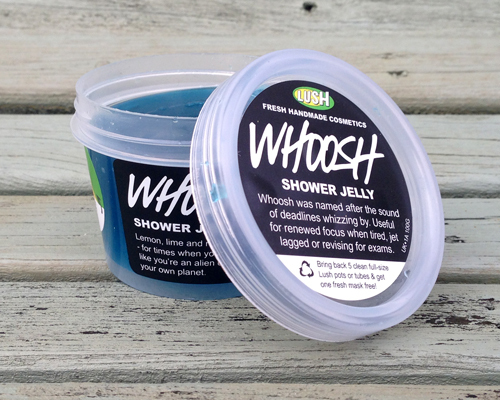 First up was a shower jelly which goes by the delightful name of “Whoosh”. Like Dirty Springwash I was attracted to the colour and wasn’t fussed about the scent. I expected the jelly to have a subtle minty scent like Dirty Springwash but really, it’s incredibly citrusy. I’ve used a shower jelly before and distinctly remember losing most of it down the plug hole so I expect very little of Whoosh to actually meet any part of my body. 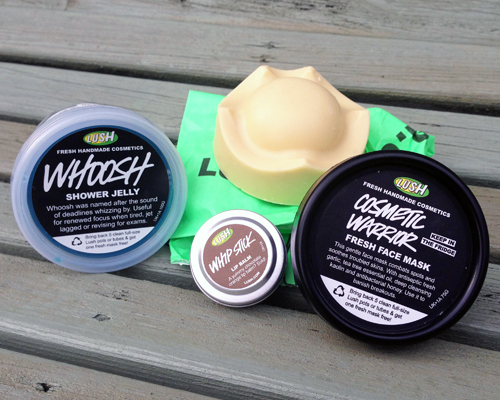 Cosmetic Warrior was given to me for free thanks to the fact I had 5 (technically I had 8 but you need to be in the 5 times tables for this scheme) empty tubs to return to Lush. 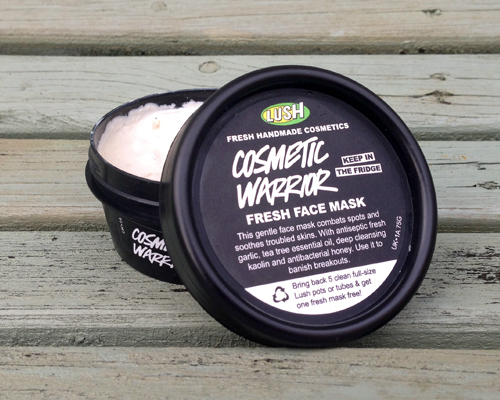 I’ve never tried it before and I’m not entirely sure I understand why I went for Cosmetic Warrior as I’m not exactly prone to spots but hey, a free face mask is a free face mask. Whip Stick does not look appealing on the Lush website whatsoever but that didn’t stop me from wanting it. 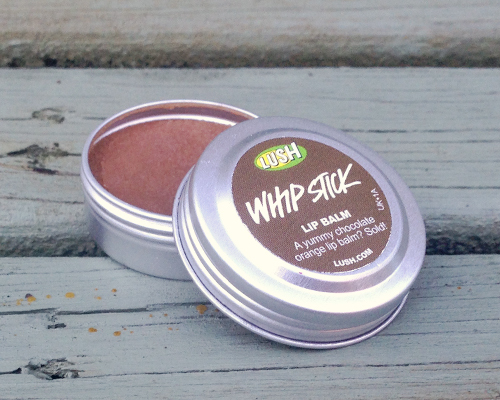 It’s a chocolate orange flavoured lip balm that smells delicious. I haven’t used it yet as I wanted to keep it looking perfect for the picture but as soon as this post is published I am whacking this baby on my lips. Body butters don’t typically appeal to me but I was suddenly hit with the desire to purchase King of Skin despite it being a slippery little body butter. I clearly didn’t think it through prior to purchasing it as it is to be used in the shower; something I barely have time for in the morning as it is. I’m fairly certain I will be chasing this around the floor of my shower every time I try to use it. P.S Apologies for not being around on here much and for the quality of the photos. I'm trying to balance work and my personal life all while battling the lack of daylight and it's not going very well. Can I please have the sun back? It’s now November and I’m already starting to miss seeing the sun. I have the joys of working in an office that has absolutely no windows so I only get to see daylight for the 5 minutes it takes for me to drive to work in the morning. I’ll be amazed if I actually remember what that big ball of fire (is it fire? I used to be good at science-y things I swear) looks like come March/April. 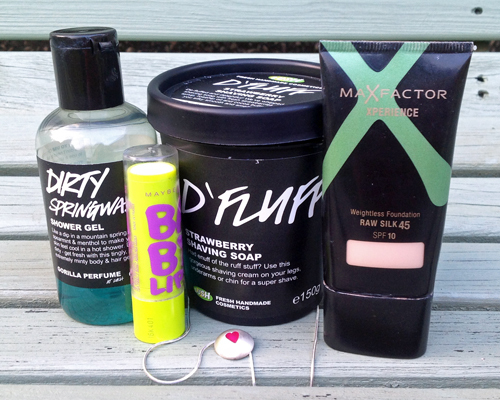 Anyway this is supposed to be my October Favourites not a rant about the sun. Let’s get to it! Ah how I love this delightfully subtle minty shower gel. The blueness of it is the reason I purchased it – I’m a sucker for WKD like blue – but the brilliance of it is the reason it’s in my favourites. Dirty Springwash has been used every day for almost 2 months now and I still have a decent amount left of it. I’ve been blessed with skin that doesn’t irritate easily but it never hurts to have a decent shaving cream. Up until D’Fluff appeared on the shelves in Lush I never actually bothered with a shaving cream but now I don’t remove unwanted hair without it. 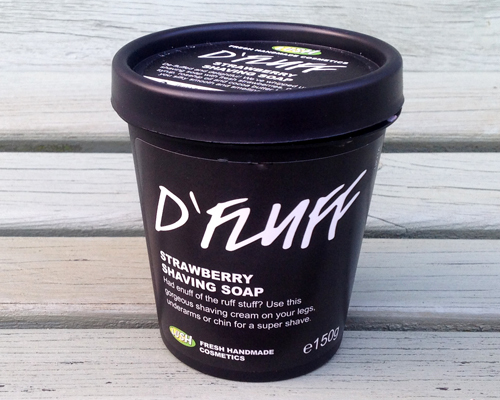 D’Fluff is another incredible product from Lush that does exactly what it says on the tin (or the black tub, whatever you want to call it). You apply it prior to shaving, grab your razor and then start hacking er I mean shaving away. 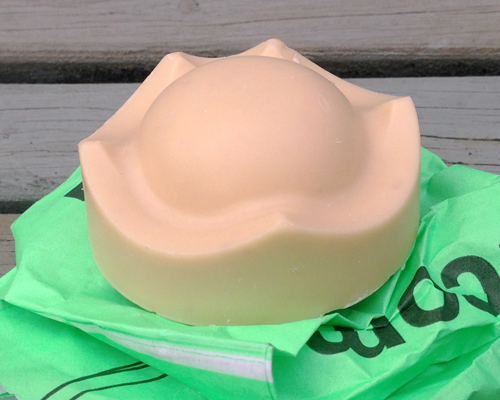 It leaves your skin incredibly smooth and smelling delightful. Granted I’m not a huge fan of the scent in the tub but once it’s on the skin it smells rather good. There was so much hype around the Maybelline Baby Lips when they first hit our stores to the point where I was completely sucked in by it all. I bought 3 of them, 2 were the tinted lip balms while the other was just a general lip balm. I quickly got rid of the tinted ones after being completely disappointed by them but I kept the Minty Fresh one. I didn’t actually use Minty Fresh for a while as I had another lip balm on the go but, as that went walkabouts, Minty Fresh had a go at fixing the state of my lips. I won’t deny the fact it’s not the greatest of lip balms out there but I absolutely love the discreet minty tingle it leaves behind on my lips and it does do the job I need it to do. 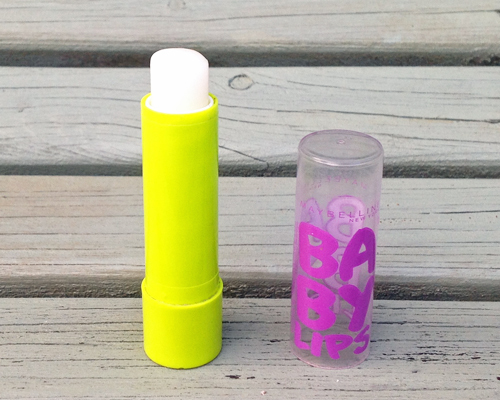 At least there’s one Baby Lips that lived up to the hype for me. I can’t even remember when this foundation originally came out but I’m fairly certain I was halfway through my teenage years. I absolutely loved this foundation when I first tried it and used it religiously until one day I got bored and found something new. I’ve now rediscovered it and am falling back in love with it all over again. It’s a fairly light coverage foundation which makes a nice change from my usual MAC Studio Fix Foundation. It won’t cover any major blemishes or my stubborn under eye dark circles but for the most part, it’s a great foundation and my skin is enjoying the break from MAC’s heaviness. I’m running quite low on this bottle so a repurchase may have to be made in the near future. 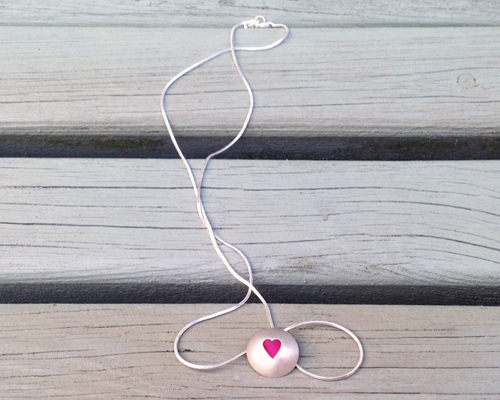 My significant other left me for Shetland last month (he was gone for 5 days so I’m not sure why I’m making it sound so dramatic) but returned with this adorable necklace. It’s barely left my neck since he gave me it although it does have a tendency to disappear whenever I take it off at night. I think it might be cursed but I still happily wear it. What on earth am I going on about?